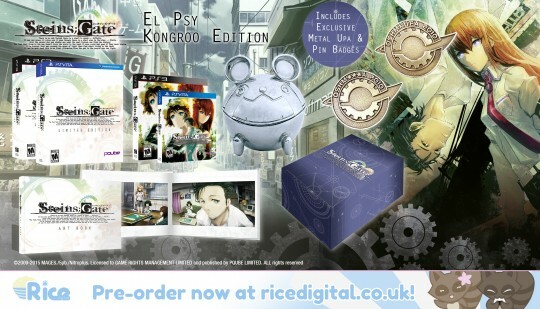 This limited edition was sold exclusively through British video game website; RiceDigital. This entry was added to the database on Thursday, October 8th, 2015 at 1:33 pm by game_player_s. This information was last updated on Thursday, October 8th, 2015 at 1:51 pm by game_player_s. this is probably one of the most strangest collectors editions yet...neon green slippers and some sort of bathrobe looking thing...i wonder what kind of marketing research goes into this kinda stuff before it's released..is there really a demand for these wierd trinkets? 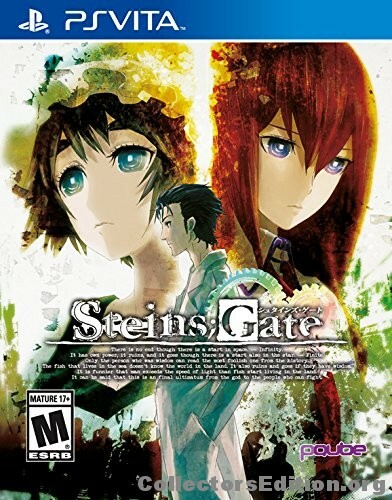 Damn i loved the PC game and the Anime, got to get this somehow. Added the ps3 double pack, 360 limited edition, the Chinese limited edition for ps3 and 360.
added a new picture. for the vita double pack. Added the Region 1 version of the "El Psy Kongroo Edition" to the database.